Shelley Wilson has read 6 of 10 books. Shelley Wilson read 50 books of her goal of 50! Shelley is an author and award-winning blogger. She writes for two genres: Her sensible and professional side writes non-fiction books for the self-help/personal development genre, and her cheeky and playful side loves to write young adult fantasy fiction. 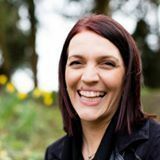 Alongside her personal development blog (motivatemenow.co.uk) Shelley also writes an author blog (shelleywilsonauthor.com) where she shares reviews, author interviews, and anything to do with writing, reading, and book related events. Shelley is a single mum to three teenagers, a very old goldfish, and a crazy black cat called Luna. Her favourite things (apart from her children) are vampires, fantasy and sci-fi, Tudor history, The Walking Dead, Game of Thrones, and Netflix marathons. She lo Shelley is an author and award-winning blogger. She writes for two genres: Her sensible and professional side writes non-fiction books for the self-help/personal development genre, and her cheeky and playful side loves to write young adult fantasy fiction. Shelley is a single mum to three teenagers, a very old goldfish, and a crazy black cat called Luna. Her favourite things (apart from her children) are vampires, fantasy and sci-fi, Tudor history, The Walking Dead, Game of Thrones, and Netflix marathons. She loves visiting historical sites and can be quite excitable around a castle ruin. She tries to find the silver lining in every situation and this mind set has got her through some very tough moments. To ask Shelley Wilson questions, please sign up. What an incredible debut! I watched the author on the Jimmy Fallon show and loved hearing about her inspiration for this series. She knew she wanted to celebrate West African culture and she does this in abundance. You are transported from harbours, What an incredible debut! I watched the author on the Jimmy Fallon show and loved hearing about her inspiration for this series. She knew she wanted to celebrate West African culture and she does this in abundance. You are transported from harbours, to lush jungles, and from temples to fearsome arenas – this story has it all. The settings become a character in their own right and I love the fantastical elements, such as the creatures and the dark magic. The story is told from the point of view of three characters; Zélie, Amari, and Inan and weaves together seamlessly. We learn about the horrors inflicted on the maji who were powerful and magical until King Saran destroyed magic and murdered them all. The death of Zélie’s mother has broken a part of her and we see how this has a huge effect on Zel in various situations. Her brother’s strength carries her forward and yet it’s satisfying to see her grow and evolve throughout the book. There are strong themes of self-belief, loyalty, and family as well as the expected coming of age elements. There’s barely time to catch your breath before the characters are tossed into another life-threatening position and you dare not put the book down in case you miss something. After the Last Battle kicks off with a promising Prologue where the author shares the backstory around the Angel an The cover is a great hook for any fan of young adult occult fiction, and the book blurb certainly draws you in for a closer inspection. It’s not an easy task to hook a reader and terrorise them within a short story, but West has an incredible knack of doing just that. I’ve read (and loved) other work by this author, Drive and The Factory are my favourites, so I jumped at the chance t It’s not an easy task to hook a reader and terrorise them within a short story, but West has an incredible knack of doing just that. I’ve read (and loved) other work by this author, Drive and The Factory are my favourites, so I jumped at the chance to see what The Goblin Glass was all about. To write a horror novel, you don’t need flamboyant settings, and over the top characters, that’s what I love most about this author’s work. West takes the ordinary and makes is extraordinary. Everyday items become the stuff of nightmares, and that trickle of fear stays with you long after you finish reading. We’d love your help. Let us know what’s wrong with this preview of The Goblin Glass by Mark West. I’d seen Marie Kondo all over social media, and I wante Browsing for something to watch on Netflix I came across Marie Kondo’s The Art of Tidying show. Having decided that this was the year I would start sorting my home I thought I’d give it a watch. I’d seen Marie Kondo all over social media, and I wanted to see what the fuss was about for myself. The show is fabulous and I binge-watched it over two nights becoming hooked on all things de-cluttering! I ordered her book The Life-Changing Magic of Tidying before the credits rolled at the end of episode one. As I’m a personal development blogger, I decided to use the lessons I’d learned from the book (and show) and see if I could Marie Kondo my home using her KonMari method while blogging about the process and results. Marie’s method involves tidying your entire house in one go by category. I’m already a dedicated fan of de-cluttering. However, I always seem to attract more ‘stuff’ no matter how many times I have a clear out. We’d love your help. Let us know what’s wrong with this preview of The Life-Changing Magic of Tidying by Marie Kondō. We’d love your help. Let us know what’s wrong with this preview of Victor by Sacha Black. I thought I’d burnt myself out on writing books over the years, but it appears I was wrong. Adam’s conversational style of writing meant I had this unpacked and read within a few hours. As a personal development author and blogger, I have a huge affi I thought I’d burnt myself out on writing books over the years, but it appears I was wrong. Adam’s conversational style of writing meant I had this unpacked and read within a few hours. As a personal development author and blogger, I have a huge affinity to any book that talks about mindset. To discover a book that combines my two favourite topics (writing and the mind) was always going to score points. The title implies that this book is targeted at independent authors. However, I feel any writer would benefit from the wisdom within these pages. Learning to be more productive, dealing with overwhelm and burnout, and understanding profit and ROI are all vital tools for any author (independent or otherwise). The section on Encountering Doubt resonated with me the most as I suffer from terrible bouts of self-doubt and imposter syndrome. As I was devouring this chapter, I wondered if Adam had somehow listened in on my counselling sessions! As with most non-fiction books, I purchased this as a paperback as I have an innate desire to make notes in the margins – there are LOTS of notes in the margins as there are many ideas I want to try thanks to this book. I’m fortunate to have signed with a medium sized publisher. However, I also have a few titles floating around from my early indie days. This book has given me the kick up the backside I needed to make a plan of action for 2019 and beyond – because it’s all about the long-term. "I had a while to wait for the sequel to Oath Breaker to arrive, and when it did, I was not disappointed! Reading about Mia and her turmoil during her discovery of her own from was so realistic, I was feeling the pain at times! We’d love your help. Let us know what’s wrong with this preview of Oath Keeper by Shelley Wilson. ― Shelley Wilson, How I Changed My Life In a Year: One Woman's Mission To Lose Weight, Get Fit, Beat Her Demons, And Find Happiness …In Twelve Easy Steps! G.K. Moore wrote: "Thanks for the friend invite Shelley :)"
Lovely to meet you here on Goodreads, Shelley, and thank you for your friendship.